There are two common types of air pollutants found in South Africa – smog, which occurs when emissions from combusting fossil fuels react with sunlight, and soot, which is made up of tiny particles of chemicals, soil, smoke, dust, or allergens in the form of gas or solids that are carried in the air. The big city regions of Gauteng are cited as having the highest levels of air pollution and because it is located at a much higher altitude the air can very drying to the skin. Extra care needs to be taken to ensure your skin is kept hydrated and free from air pollutants that can come into contact with your skin. The skin is a complex organ designed to protect us from external elements, so it’s important to ensure that it isn’t compromised. “Cleansing is an important first step I recommend, as effectively cleaning your skin is crucial if you’re regularly exposed to urban pollutants,” explains Mirjana Brlečić, founder of natural skincare range Nikel Cosmetics. Nikel’s Cleansing Milk with Immortelle is the perfect way to cleanse the skin. Immortelle oil, known as the “elixir of youth”, has been used since ancient times to treat skin conditions. It helps the regeneration of cells, minimising skin damage, wrinkles and scars. It also stimulates the formation of collagen, which diminishes as we age. Keeping the skin hydrated helps it to work at its optimum and be an effective barrier against airborne pollutants. “Never take for granted the importance of drinking water – it’s vital for so many functions within the body,” says nutritional expert Andrea du Plessis. Drink at least eight glasses a day to help hydrate the skin, generate cell growth and improve circulation. Air pollution contains microscopic contaminants that help produce free radicals in the body – unstable atoms that can damage cells, causing illness and aging. 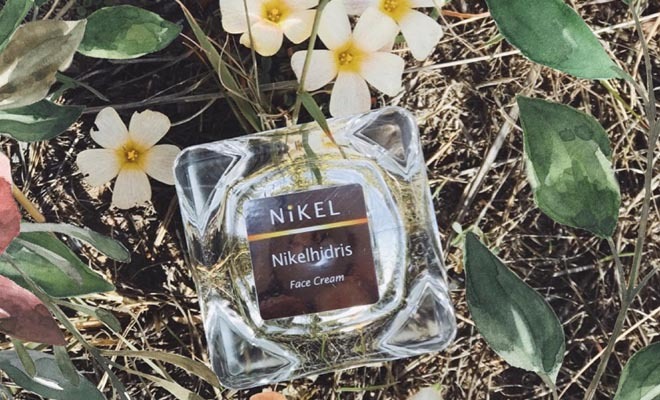 Nikel Cosmetics’ Nikelhidris moisturiser helps to combat all the ailments associated with exposure to environmental factors. It contains sunflower oil, essential fatty acids and a high concentration of vitamin E and ceramides identical to the ones found in human skin, which regenerate the damaged hydrolipid barrier of the skin and prevent moisture loss. Diet also has an effect on your skin, and eating well can help to counteract the effects of free radicals. Coenzyme Q10, an essential skin-repair building block, can be found in fish and seafoods, nuts and seeds. “Vitamin E, which is found in avocado and wholegrain cereals, is another way to help fight against damage from free radicals,” adds Du Plessis.